The Lake Country Force Black Finishing Pad helps you to easily apply a very light polish, AIO, glaze, sealant or wax. The silky feel of this black pad, combined with the dense hybrid foam makeup is the key to this pads success. If you have very light imperfections or oxidation on your paint, the high end foam technology used in this pad will help you evenly distribute the perfect amount of product needed to give you an amazing gloss and shine. We recommend using this pad to apply your favorite AIO, sealant or liquid wax. This pad is extremely gentle and easy to use so you get great results in less time, even on finicky or soft paints! If you have heavier imperfections, the Force Grey Heavy Cutting pad, Force Orange Cutting and the Force White Polishing pad are all great choices. The Force line of pads is an upgrade of the popular Lake Country Hybrid pad line. The Force line features the same awesome Hybrid Foam Technology that was used in the Hybrid line, just tweaked for a more user friendly experience. This foam is super dense, which increases durability and keeps the polish you are using from absorbing into the pores and cells of the pad. This means the polish is left on the surface of the pad, allowing you to have a longer work time and achieve better results faster. Force pads are 1.25" thick and buffer pads in general have started to shrink in overall thickness. The .875" (7/8") thick pads you are seeing pop up today, produce less heat and work great on Dual Action (DA) polishers. With forced random orbital (i.e. Flex XC 3401 VRG) and Rotary polishers, detailers have found that thicker pads, which many companies have been moving away from, can actually be easier to work with and bring you better results. 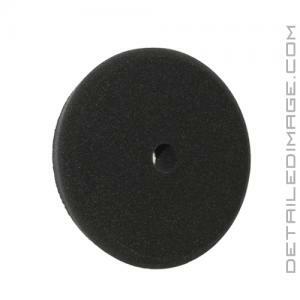 Do not forget that these Force pads also work great on your Dual Action polisher. Some people like the thin pads for less heat generation, but if you like thicker pads, the Force Pads are great! Each Force Pad will be labeled on the bag to help signify the power of the pad. Below are the pads in order with #1 being the strongest cutting pad through #5 which is a very soft pad used to apply sealants, liquid waxes, etc. We'll slowly be replacing a lot of our older used pads with these as everyone at the shop likes them a lot. They're the typical Lake Country quality and performance, but with added features that take them to the next level. Pad performed well on a Porter Cable using speed 3 to 4. No issues with it at all.